As the undivided space of Conciousness. On a Shivaratri day, after dinner, Bhagavan was reclining on the sofa surrounded by many devotees. A Sadhu suggested that, since this was a most auspicious night, the meaning of the verse in praise of Dakshinamurti should be made clear. Bhagavan gave his approval and all were eagerly waiting for him to say something. He simply sat, gazing at us. We were gradually absorbed in ever deepening silence, which was not disturbed by the clock striking the hour, every hour, until 4 a.m. None moved or talked. Time and space ceased to exist. 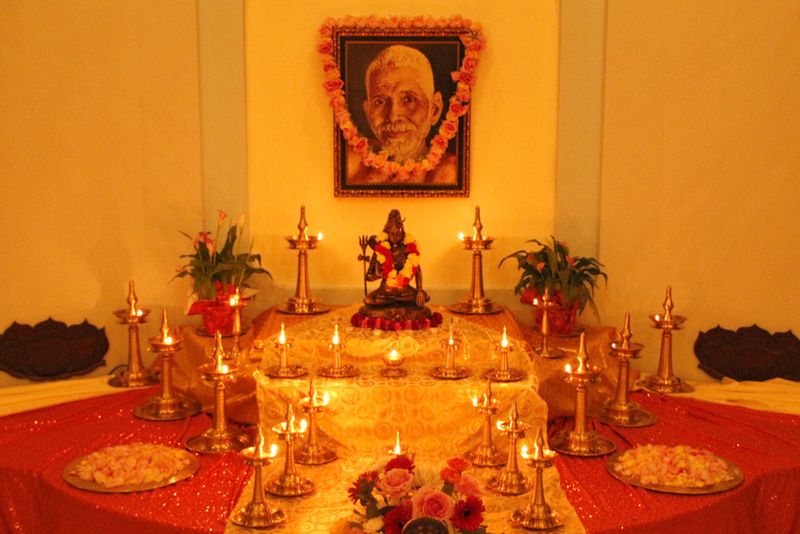 Bhagavan’s grace kept us at peace and silence for seven hours. In this silence, Bhagavan taught us the Ultimate, like Dakshinamurti. At the stroke of four Bhagavan asked us whether we had understood the meaning of the silent teaching. Like waves on the infinite ocean of bliss, we fell at Bhagavan’s feet.